......something more sinister was happening. In a flash their lives were dramatically altered when a bomb that was being placed in the back of their van suddenly exploded prematurely. What is it like to survive such an atrocity? To live when all around you others died? 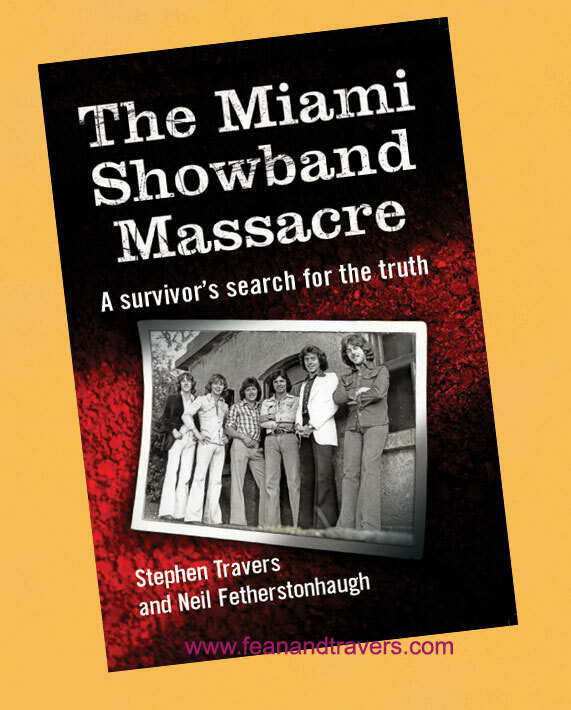 In The Miami Showband Massacre, Stephen Travers remembers the highs of being in the most successful showband of the 1970s and how it all ended in a terrifying moment of death and destruction. But he also looks for answers as to why his friends – Tony Geraghty, Fran O`Toole and Brian McCoy – were killed. What drove them to such an act? Stephen wants to understand, but will he find the answers when he meets the men responsible for the massacre face to face? Read about and see Video Clips, on this site, from the Miami Remembrance Night Concert which was held in Vicar St, Dublin in August 2005.